Located in one of the most charming villages in the South of Spain, Medina Sidonia, the restaurant El Duque offers you an unforgettable culinary experience based on the finest, locally sourced produce in the area. With more than forty years experience, at El Duque we endeavour to satisfy the most exquisite palate with our specialties which mix tradition and modernity, using the best quality products. In our restaurant you can try partridge stew, or our traditional Moorish partridge paté, perhaps traditional ox tail or our tasty ox tail ravioli, not forgetting the traditional wild asparagus local to the area, “Tagarninas.” Or try our unique loin in butter, locally caught wild rabbit, shoulder of kid, reared on its mother's milk, locally reared beef, a specific breed in the area, and fresh fish from the Bay of Cadiz. Followed by an unbeatable assortment of traditional homemade desserts, such as polenta, caramelised “Torrija” bathed in coconut milk & “Alfajor” ice-cream. “Alfajor” is a traditional Medina flavour made with almonds. To name just a few of our selection. 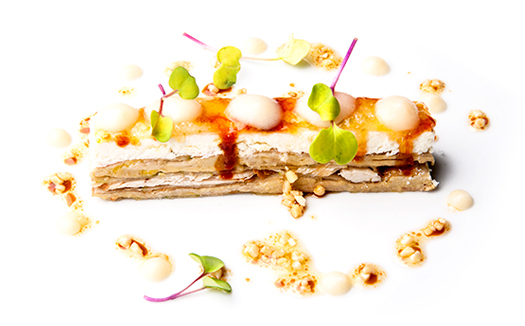 Of course our menu is seasonal depending on the raw ingredients available from the gastronomy of Bay of Cadiz. This young, dynamic cook started in the kitchen next to one of the great chefs in the province, his mother, Ana María Vega, who was the head chef in the kitchen of El Duque and the teacher of the new generation of chefs in the area. 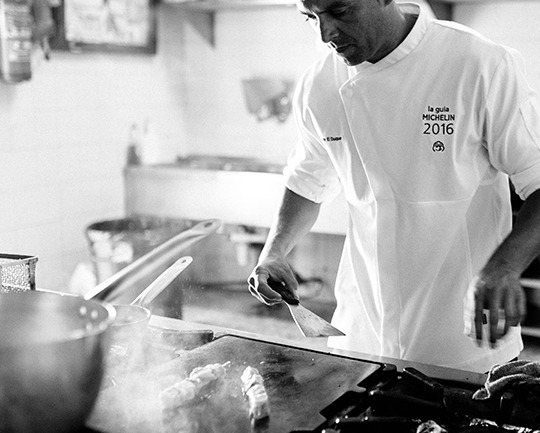 José Luis García trained at the Escuela de Hostelería in Cádiz and continued his career alongside great cooks such as Dani Garcia at Kalima y Tragabuches. Our chef is leaving his mark on the area. His cuisine is a pure explosion of feelings and love for local products and the local environment. "Medina is the taste and smell of the countryside and our menu reflects this." Enjoy a completely unique experience by staying at our hotel. A quiet and cozy atmosphere where you can unwind & disconnect. Would you like to get to know a selection of our best dishes? Go to our gallery to discover some of our recommendations. The dishes on our menu will delight your taste buds. And remember our menu is constantly evolving. If you are not sure how to find Hotel-Restuarant El Duque, please find us on Google Maps.